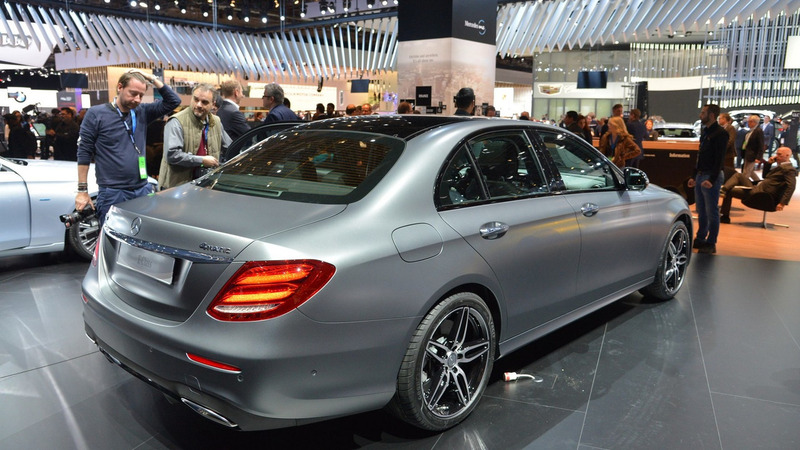 Our team is at the 2016 Detroit Auto Show and we are eager to share live photos of the all-new 2016 Mercedes-Benz E Class. You are probably already familiar with the vehicle as its design was fully revealed by a massive leak earlier this month, while official photos arrived yesterday. The E Class is not trying to hide its relationship with the smaller C Class and the flagship S Class, featuring large radiator grille and sweptback headlights. In fact, three different grill designs will be offered depending on the selected trim level. The interior is definitely a big step forward over the previous model and it comes with two large displays in the top variants, a steering wheel with touch-sensitive control, and a Burmester 3D surround audio system. What’s more impressive, the car is getting an array of safety and assistance systems, including a semi-autonomous driving system called Drive Pilot. When activated, it automatically drives the car on highways at speeds up to 130 miles per hour (210 kilometers per hour). The executive sedan car can also be equipped with the so-called Remote Parking Pilot system, enabling remote-controlled parking maneuvers. At launch, European customers will get a 2.0-liter turbocharged petrol in the E 200 that has 184 horsepower, as well as a 2.0-liter diesel with 195 hp in the E 220d. 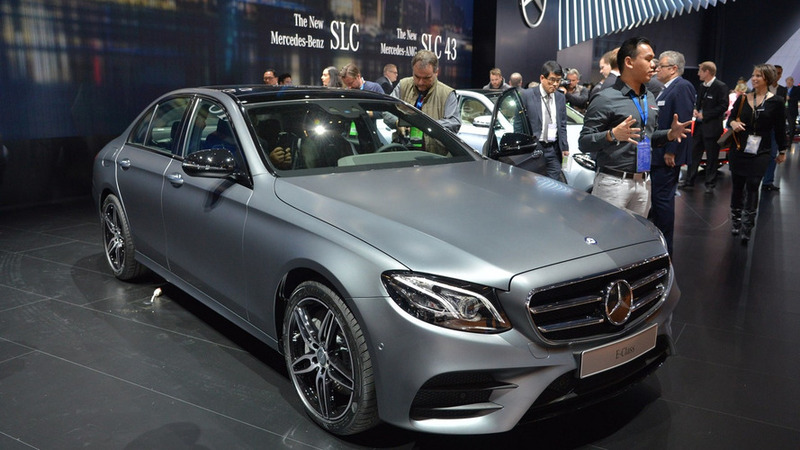 In the United States the E Class will be available with a turbocharged 2.0-liter four-cylinder engine with 241 hp and 273 pound-feet of torque. It will be connected exclusively to a new nine-speed automatic transmission.